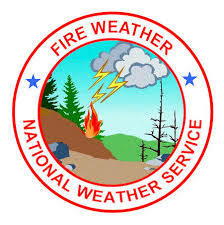 National Weather Service Reno has issued a Fire Weather Watch for Wednesday and Thursday afternoon and evening for gusty winds and low humidity for NE California Fire zones 270, 271, 272, 273 and 278. ...A DRY WESTERLY FLOW WILL PREVAIL THIS WEEK..
EASTERN SIERRA AND WESTERN NEVADA THURSDAY. EXTREME NORTHEAST CALIFORNIA ZONE 270. ..
* AFFECTED AREA...FIRE ZONE 270 SURPRISE VALLEY CALIFORNIA. * WINDS...SOUTHWEST TO WEST 15 TO 25 MPH WITH GUSTS 30 TO 35 MPH. * HUMIDITY...10 TO 15 PERCENT. CREATE CRITICAL FIRE WEATHER CONDITIONS. NEVADA ZONE 458 AND NORTHEAST CALIFORNIA ZONES 271 AND 278. ..
LASSEN COUNTY AND FIRE ZONE 458 NORTHERN WASHOE COUNTY. * HUMIDITY...8 TO 15 PERCENT. 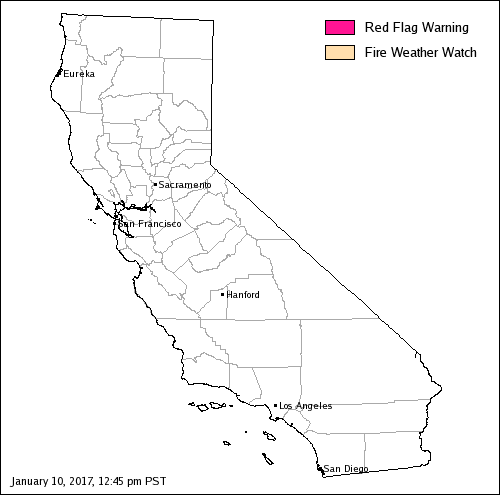 CREATE CRITICAL FIRE WEATHER CONDITIONS WEDNESDAY AND THURSDAY. * HUMIDITY...7 TO 15 PERCENT.